This community provided Vagrant box probably provides the most convenient and fastest way to start your OpenShift developer experience. 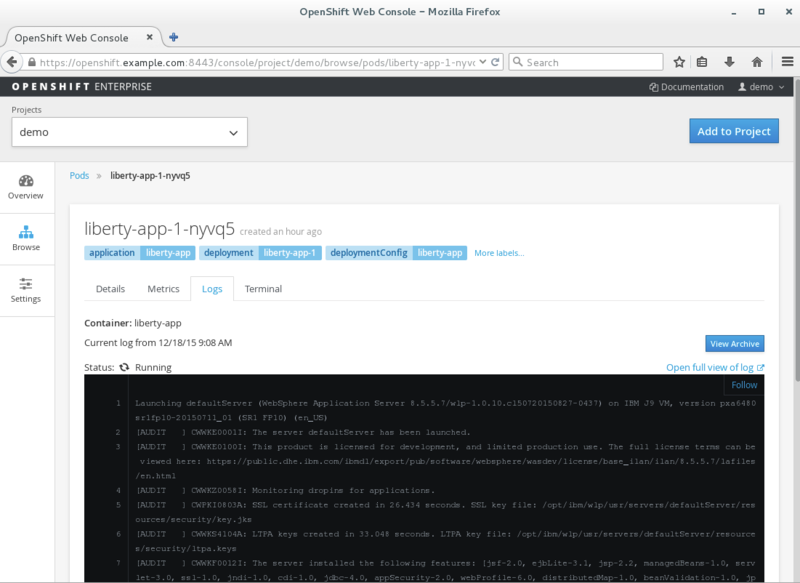 It features a complete OpenShift installation within one VM that allows you to test all aspects of a container application platform. 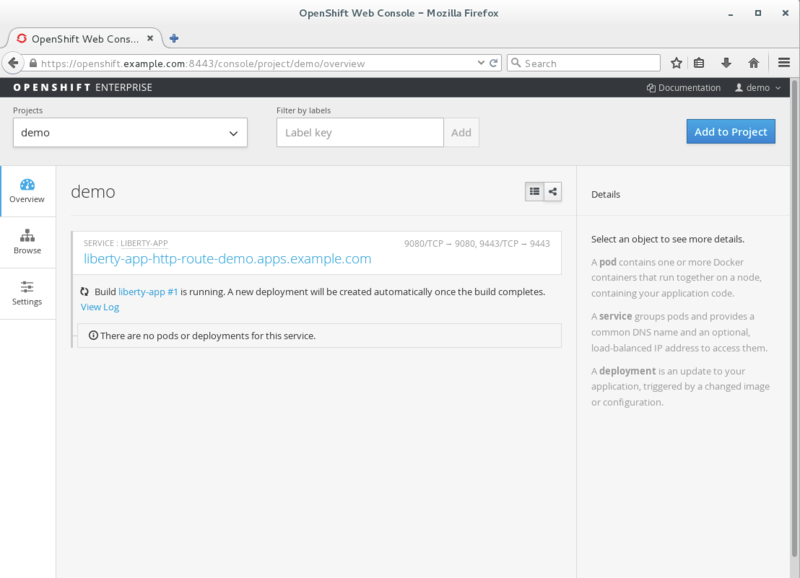 The instructions for setting up an on premise installation of OpenShift Enterprise V3 can be found here: ([https://docs.openshift.com/enterprise/3.1/install_config/install/index.html]https://docs.openshift.com/enterprise/3.1/install_config/install/index.html). 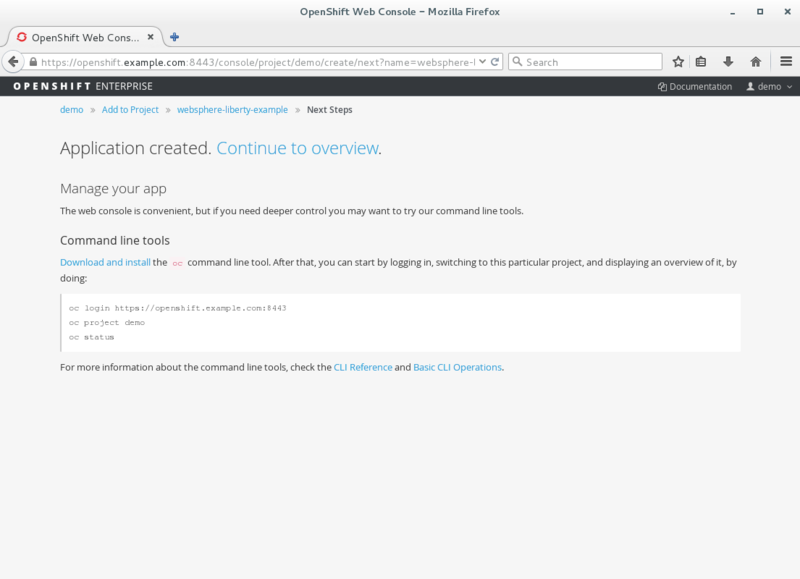 OpenShift Dedicated is a new offering from OpenShift Online. 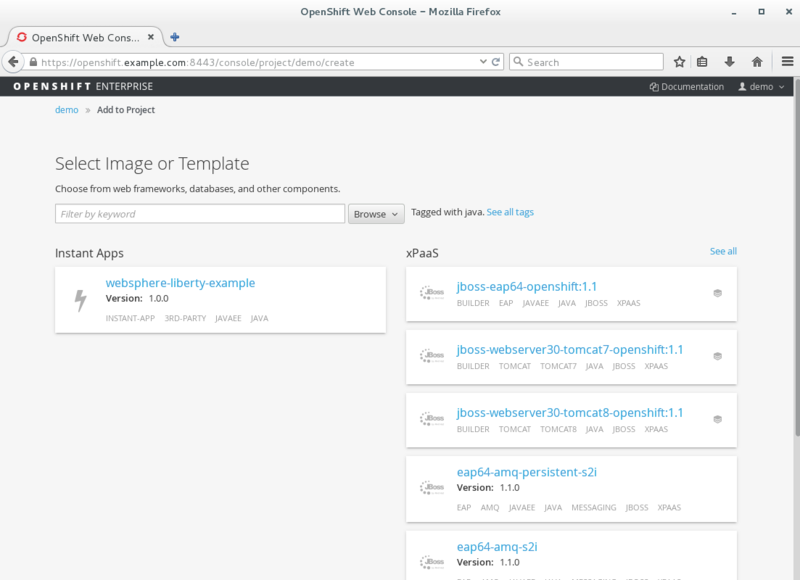 OpenShift Dedicated offers a hosted OpenShift 3 environment to run the containers powering your applications. This offering provides an isolated instance hosted on Amazon Web Services (AWS), providing increased security and management by the OpenShift operations team, so that you have peace of mind about the stability and availability of the platform. 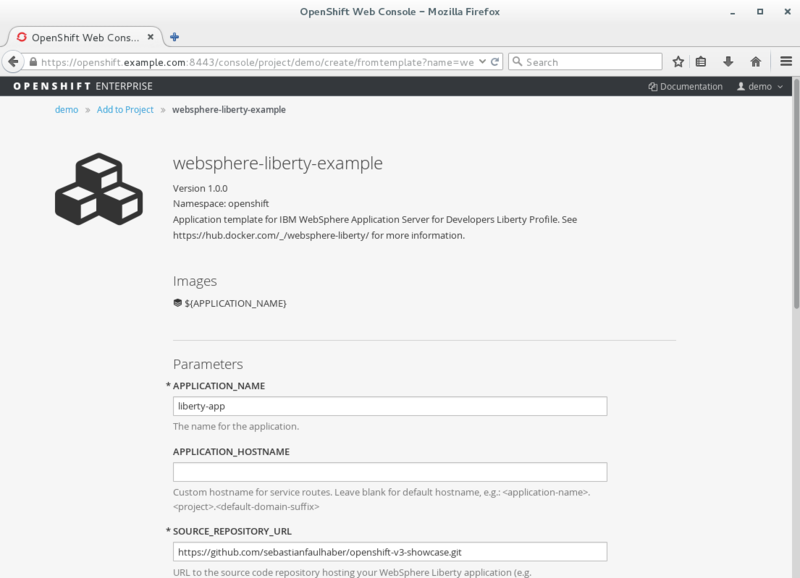 The currently provided version of IBM’s WebSphere Liberty Docker image requires the use of USER in the Dockerfile. Due to the security implications raised by USER statements OpenShift restricts the use by default. 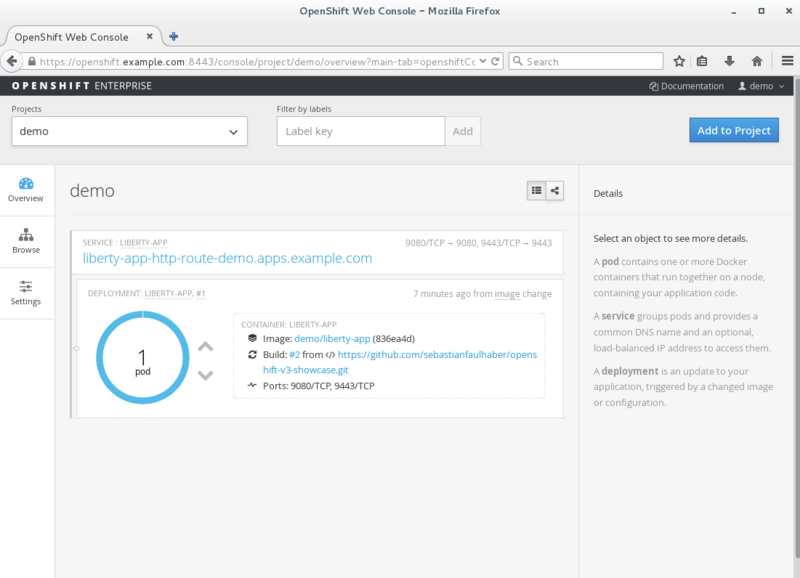 In order to make this project work, you will need to relax the security settings as described here: https://docs.openshift.com/enterprise/3.1/admin_guide/manage_scc.html#enable-images-to-run-with-user-in-the-dockerfile. 1. How can I access the provided demo application? 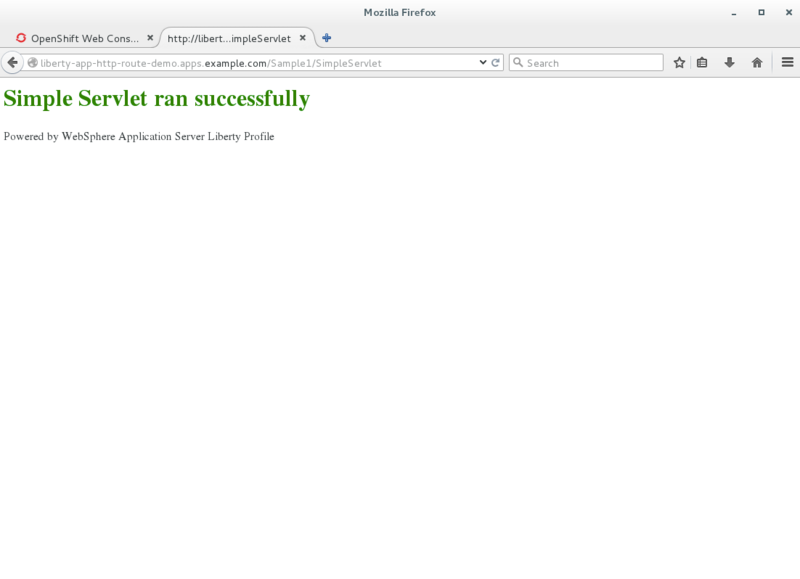 This project provides a simple Java EE web application that can be used to verify that the showcase is working. It can be accessed after provisioning via: /Sample1/SimpleServlet (e.g. 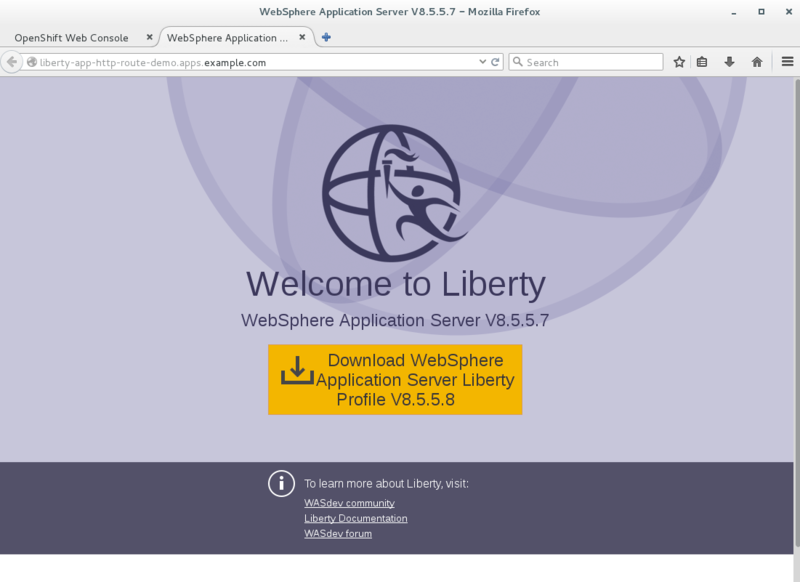 http://liberty-app-http-route-demo.apps.example.com/Sample1/SimpleServlet). 2. How can I use this showcase in my own OpenShift installation? Add your applications to the app/ folder. They will be picked up and get deployed automatically. Specify the URL to the forked project as SOURCE_REPOSITORY_URL when creating a new application. The project template comes with preconfigured OpenShift webhook triggers for Github and a generic system (see https://docs.openshift.com/enterprise/3.1/dev_guide/builds.html#webhook-triggers for more details). 4. How can I view the logs of my application? Browse &gt; Pods &gt; YOUR_LIBERTY_POD &gt; Logs. Alternatively you could also use the CLI command oc logs YOUR_LIBERTY_POD (https://docs.openshift.com/enterprise/3.1/cli_reference/basic_cli_operations.html#troubleshooting-and-debugging-cli-operations). 5. How can I connect to the container instance that is running my application? 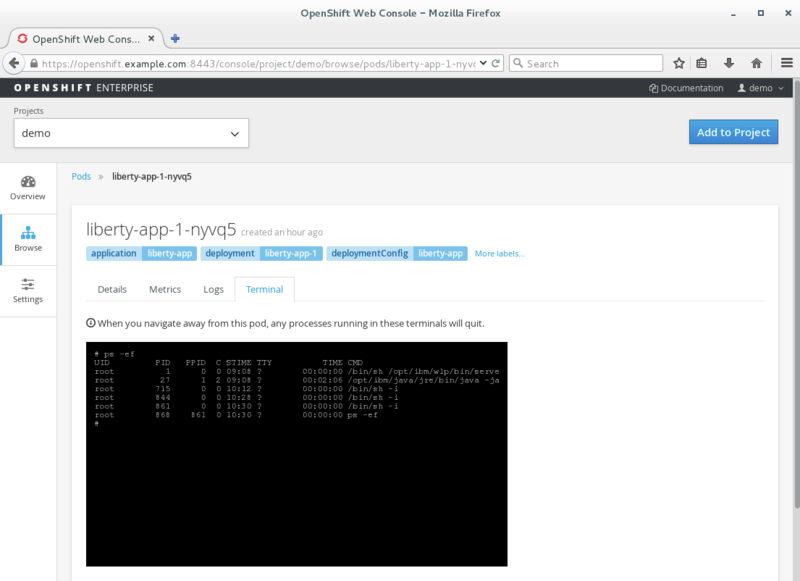 You can open a terminal connection to the container via the OpenShift Enterprise console: Browse &gt; Pods &gt; YOUR_LIBERTY_POD &gt; Terminal. 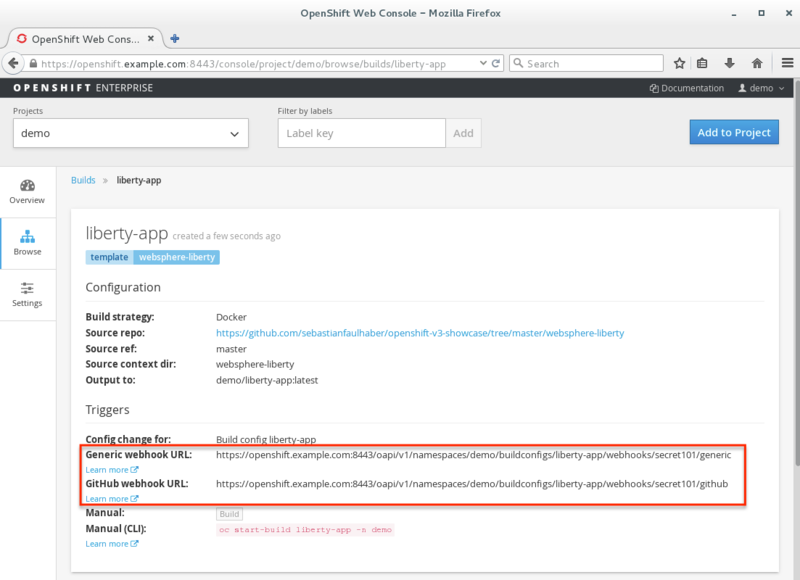 Alternatively you could also use the CLI command oc rsh YOUR_LIBERTY_POD (https://docs.openshift.com/enterprise/3.1/cli_reference/basic_cli_operations.html#troubleshooting-and-debugging-cli-operations.